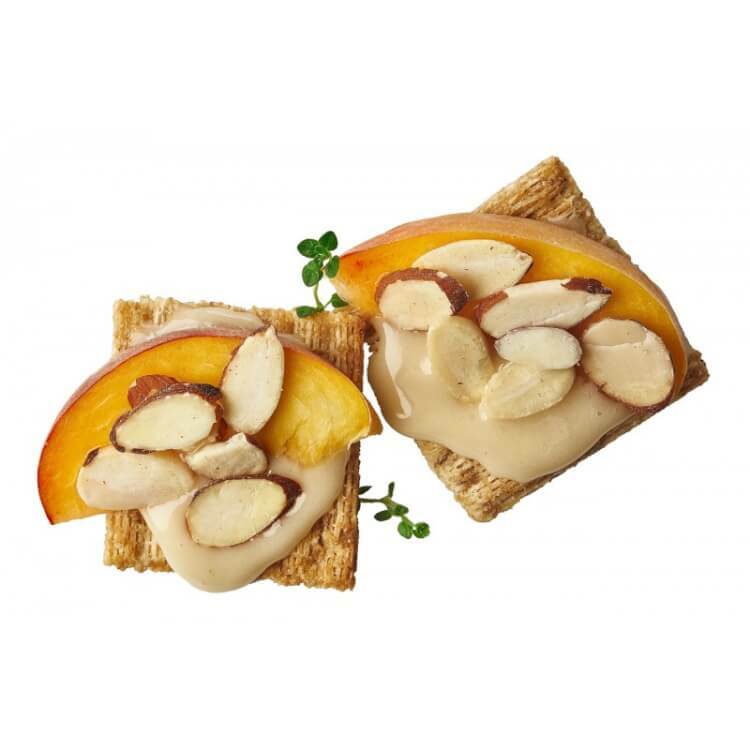 Original Triscuit crackers topped with almond butter, fresh nectarines & a drizzle of orange blossom honey are the perfect blend of salty and sweet! Triscuit crackers may appear simple at first glance, but they are the foundation for so much more! Triscuit recently launched the “Makers of More” program, partnering with several innovative culinary makers to show you how Triscuit is Made to Do More! One of those makers is Savannah Bee Company, who created their first ever Winter White Honey with Passion Fruit exclusively to pair with a Triscuit. 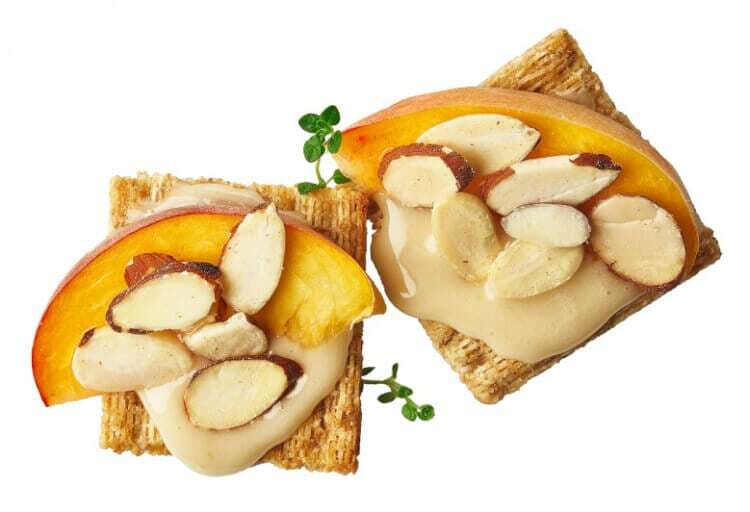 They topped their Triscuit cracker with a spread of their specialty honey, freshly sliced peaches and slivered almonds (shown above) to form the ultimate balance of salty sweetness. 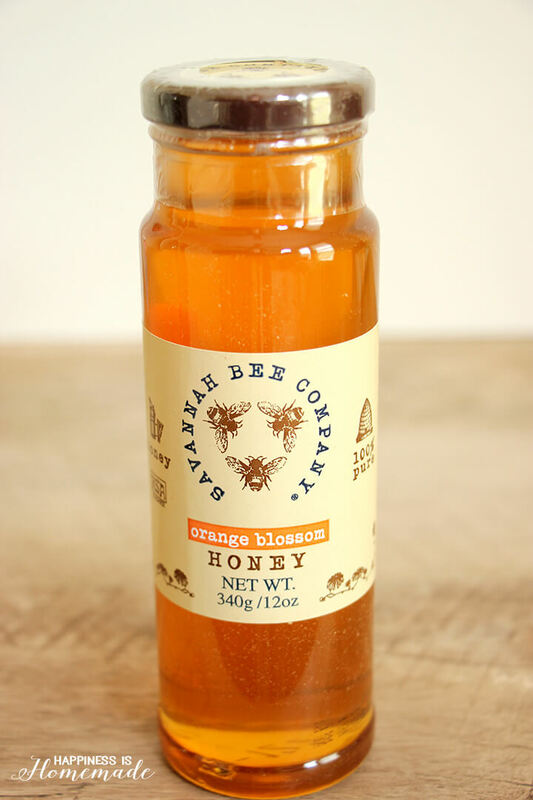 According to Ted Dennard (founder, President and head beekeeper at Savannah Bee Company), honey isn’t just honey. Each honey is made from the nectar of a different specifies of flower, depending on where the bees have picked up the nectar from. This gives each honey product a different color, taste and sugar composition. Savannah Bee Company is passionate about curating only the very best of the best honeys, so I was really excited to try their products. I try to take that same approach when I write Happiness is Homemade, and even though I spend most of my waking hours creating, only the best of the best projects and recipes actually find their way on to these pages. 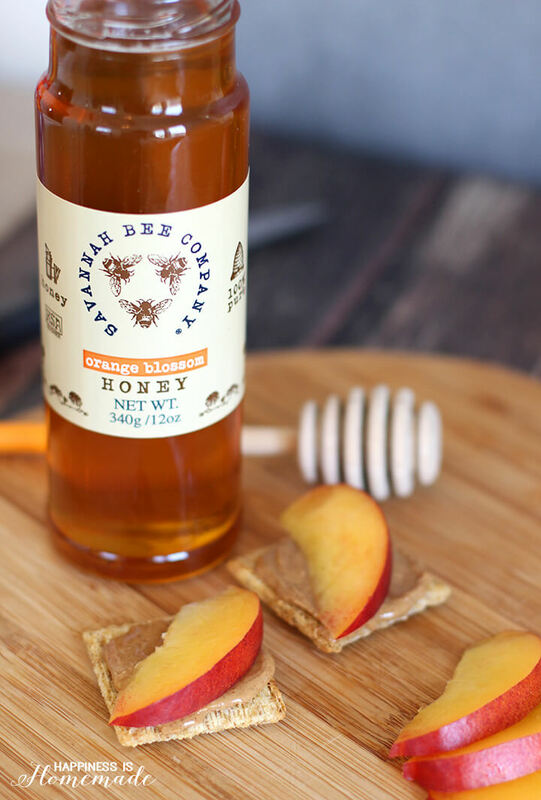 I was inspired to put my own spin on Savannah Bee Company’s Triscuit recipe, so I picked up a jar of their Orange Blossom Honey (spoiler alert: it’s the most delicious honey I’ve ever tasted!). It tastes exactly how you imagine orange blossoms would taste, with a citrus tint, and a flavor that precisely matches the fragrant aroma of orange blossoms. It is DIVINE! 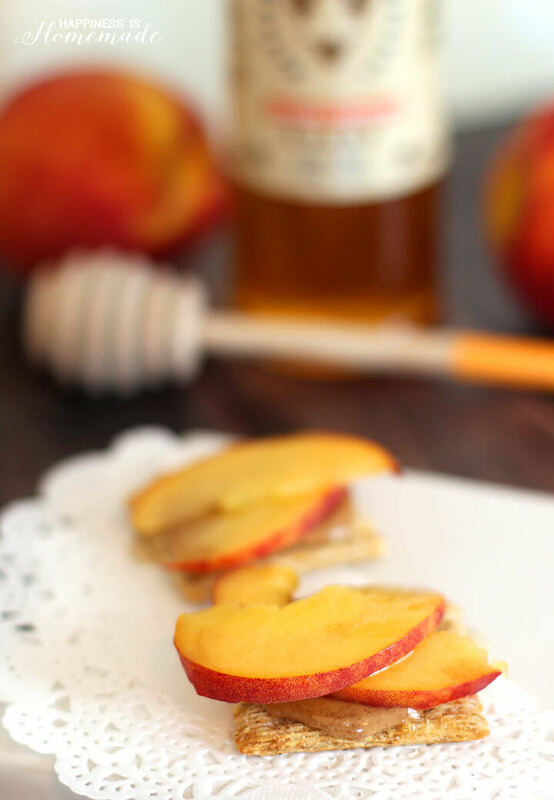 For my twist on the Savannah Bee Company’s recipe, I paired Triscuit with creamy almond butter, freshly sliced nectarines, and a drizzle of orange blossom honey. The perfect yin and yang of crispy and soft, salty and sweet! Start by topping the Triscuit with a layer of smooth almond butter. Slice the nectarine into thin slices, and place 1-2 slices (depending on thickness) on top of the almond butter. Drizzle with orange blossom honey. 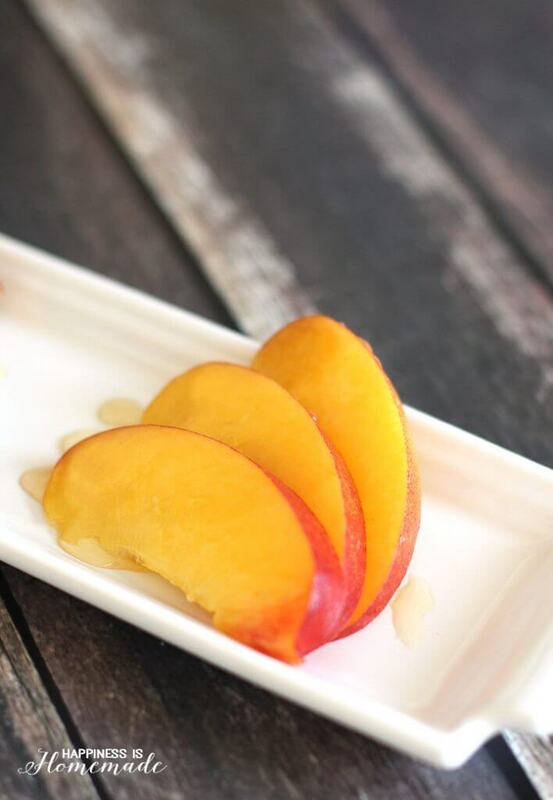 Drizzle a bit of honey on the leftover nectarine slices while you’re at it. Trust me on this one. 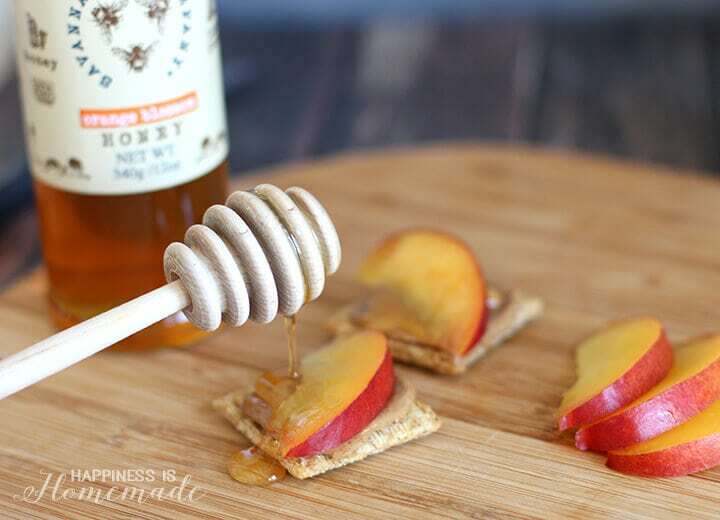 You’ll never want to eat a nectarine without orange blossom honey ever again. 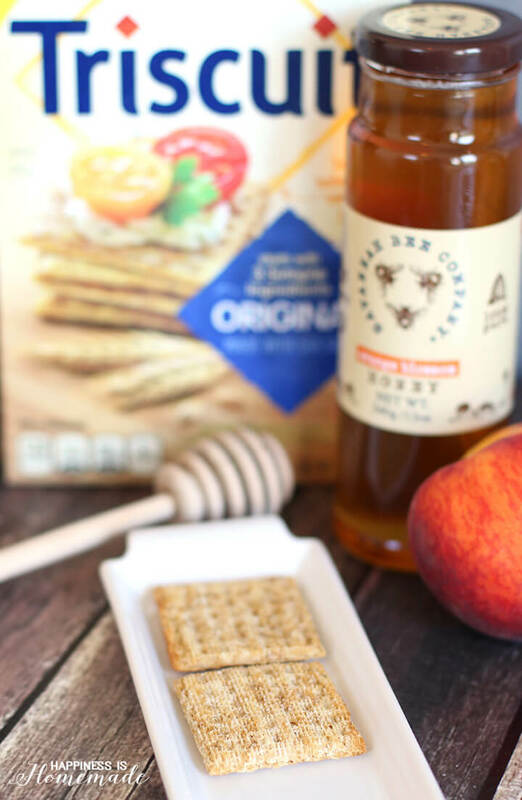 These honey nectarine almond Triscuit crackers make a great snack anytime, and they’re sweet enough for dessert, too! 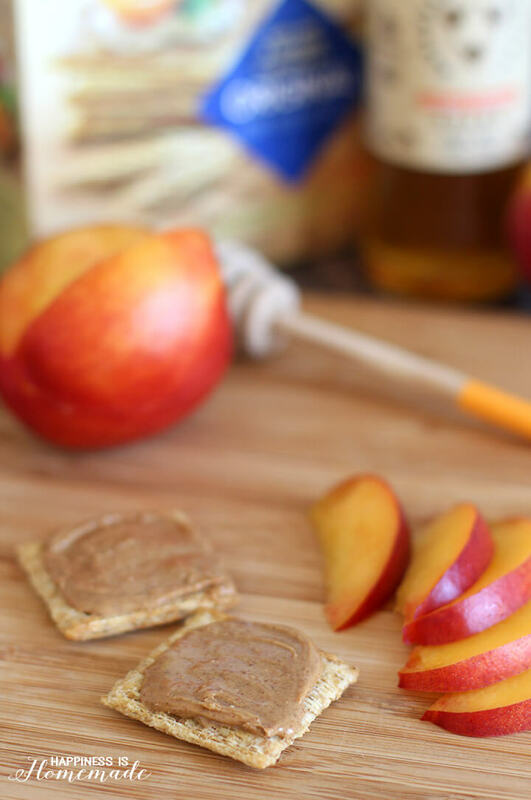 You really can’t go wrong with the perfect salty sweet combination of Triscuit, fresh fruit, almond butter and artisan honey!